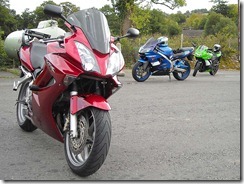 Helen and I went out with NUKB yesterday on a rideout to Crossgates in Wales. 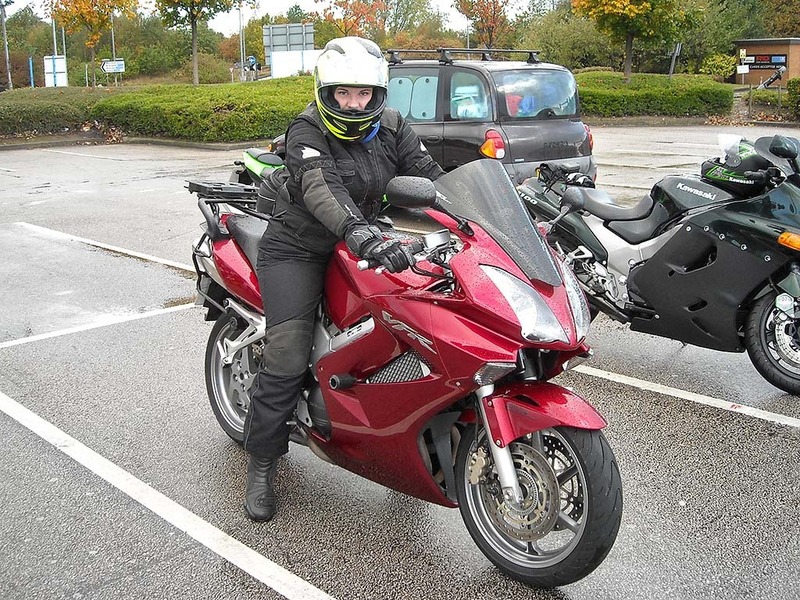 Due to Helen’s bike being in bits (forks off, sheared bolts, long story) she decided to give my VFR a try, which obviously means I was on the ZX-9R. 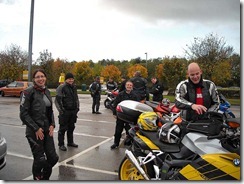 We met up with everyone at around 9:00am at Lymm Services. We left Lymm on the M56 and got off at junction 10 and joined the A49. We took the A49 all the way down to Whitchurch where we joined the A525 and then turned left at Redbrook onto the A495 to Ellesmere, at some point we lost Andy who let us know that he had had a puncture. 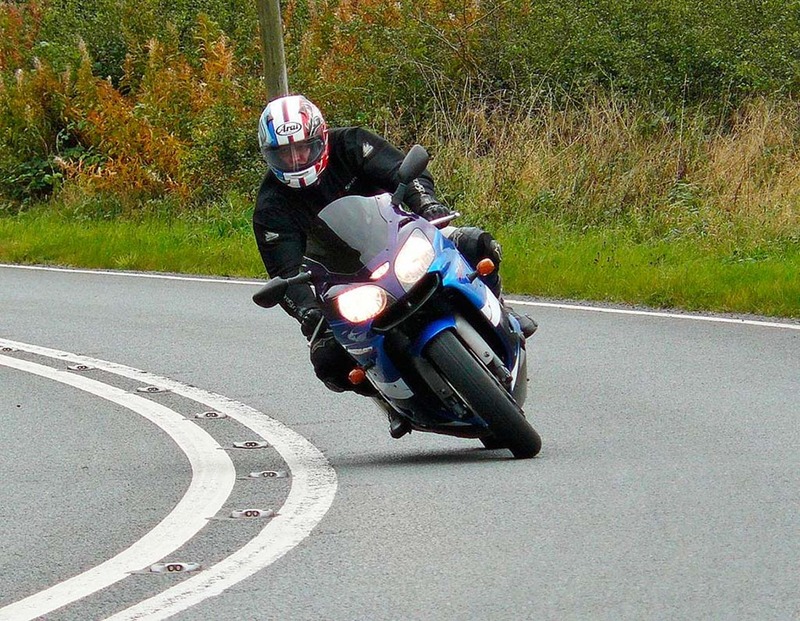 We continued through Ellesmere and Whittington on the A495 and joined A483 near Oswestry. We then stopped at Oswestry services for a quick break. 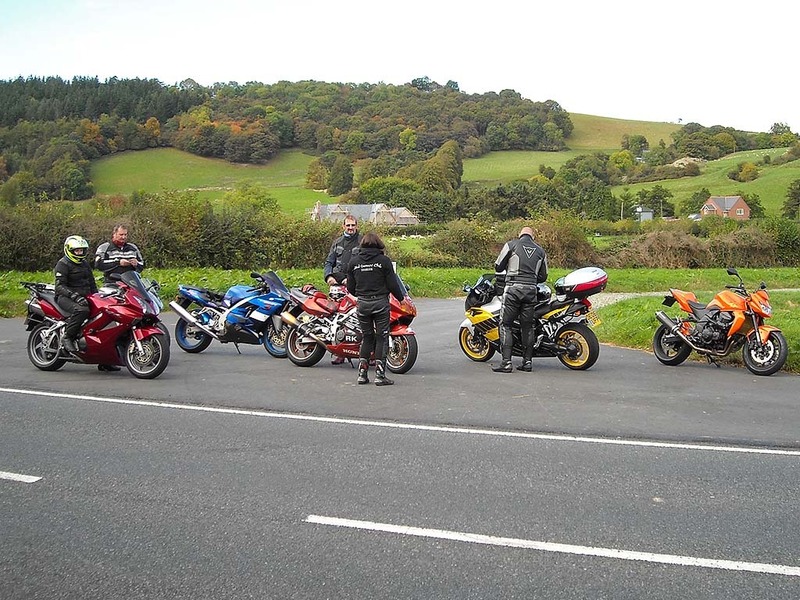 We left the services on the A483 and followed that all the way to Newtown via Welshpool. We then turned left to continue on the A483 to Crossgates. We stopped just outside Newtown and then set off individually to enjoy this stunning road at our own pace. We arrived at Crossgates after a slightly damp run and stopped at the services for lunch. We left Crossgates and took the A483 back to Newtown. This time the road and dried and we were able to enjoy the run to its full effect. 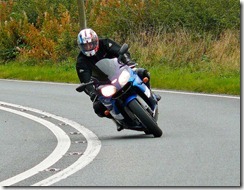 CJ went off 5 minutes before us so he could find somewhere to take some action shots with his camera, as we came past. We all re-grouped in Newtown and then set off back up the A483. On the outskirks of Newtown we turned right onto the A489 to head across to Shrewsbury. We got a few miles down the road and stopped in Kerry when we realised 2 people were missing. We left Mike a message on his phone and set off again. We continued on the A489 and then cut across to the A488 at Broadway. We took he A488 to Shrewsbury where we turned right onto the A49. 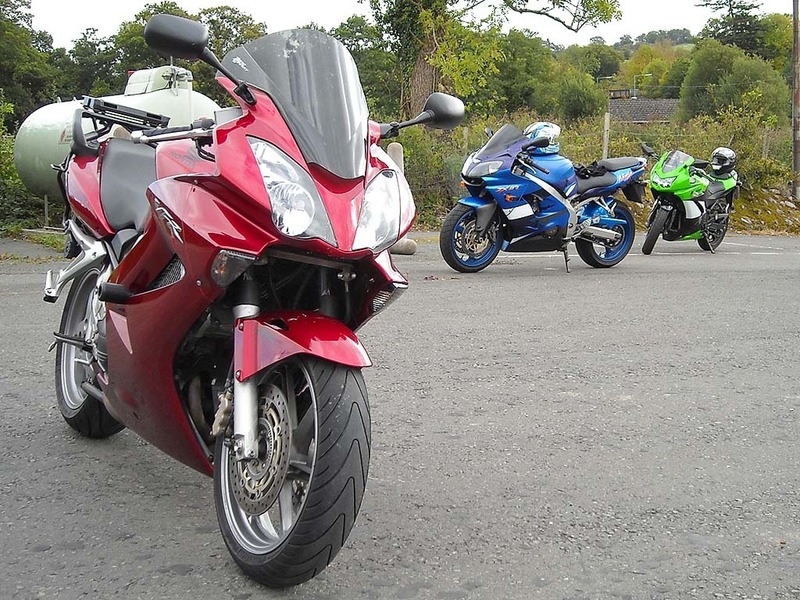 We took the A49 up to Whitchurch where we stopped for a quick break and managed to met up with our 2 lost souls. Wolfrunner’s bike wouldn’t start in Newtown and had to be push started, hence way they got left behind. 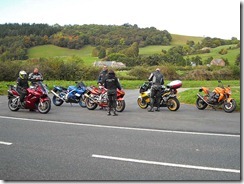 We set off again and continued on up the A49 all the way to the M56 and then we went home via the M6, M62 and M60. 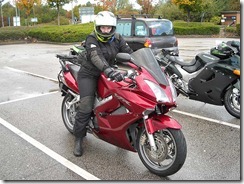 Helen really enjoyed the VFR and up until 30 minutes from home she was all up for trading her BMW in against one. The only problem she found was that her wrists started to really hurt, also she would want heated grips. She may look into getting one next year and get bar risers fitted to it.